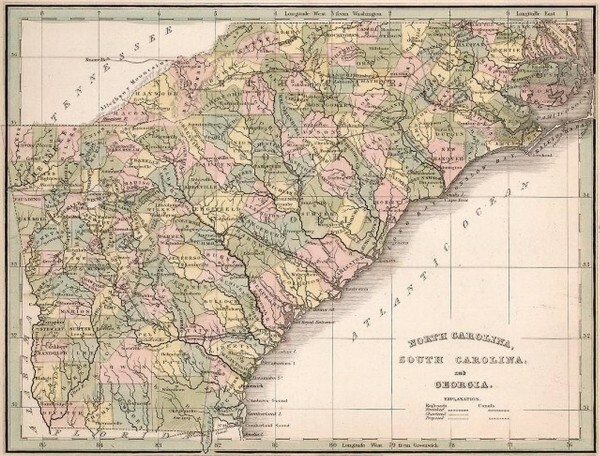 What map is this? Burr or Greenleaf? 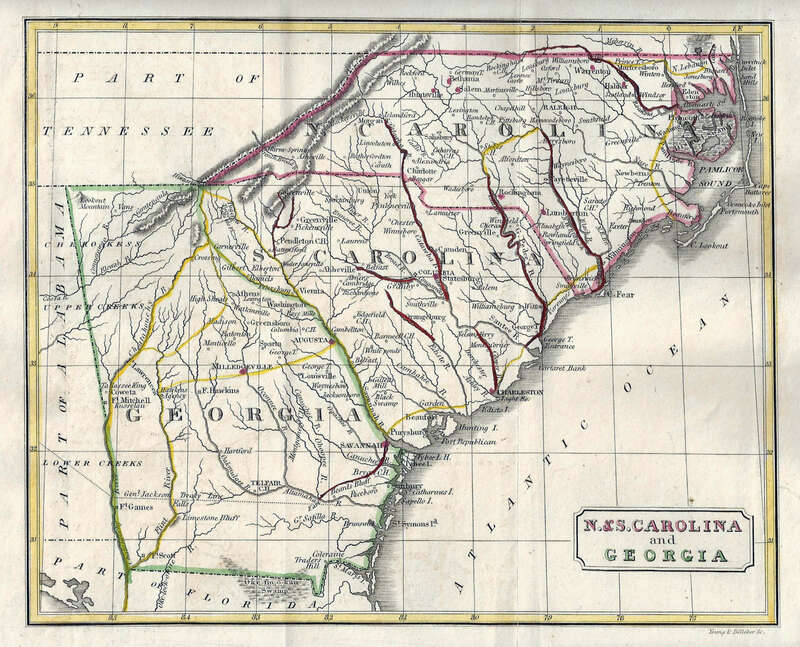 Cape Fear & Yadkin Rail Road: NC’s first….or not. 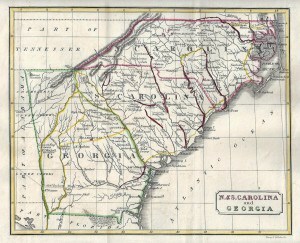 If you believe the map, the Cape Fear & Yadkin Rail Road was the first railroad completed within the state of North Carolina. 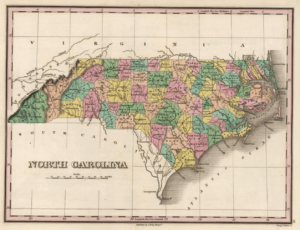 Map Wars: Episode II – A “new” NC wall map. 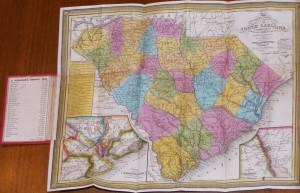 There are, of course, numerous examples of maps whose publication history far outlived their accuracy from either a physical or political geographic perspective. 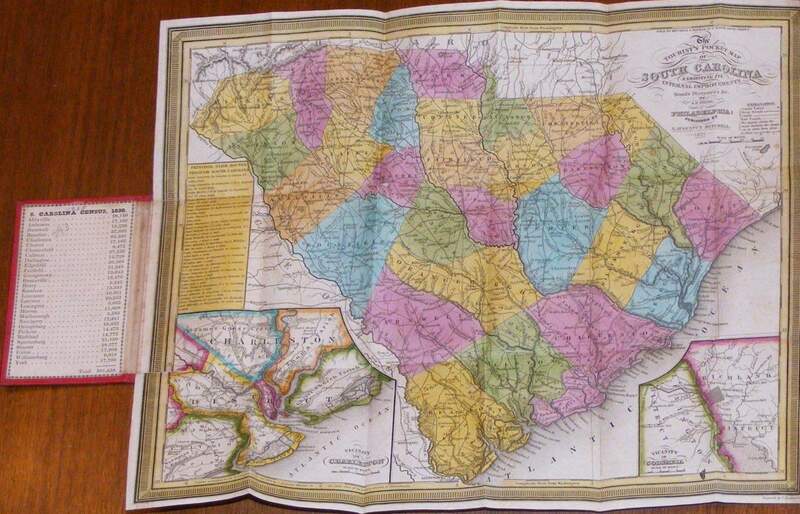 One of the best examples from North Carolina is the 1833 MacRae-Brazier map.